My 12 inch balloons filled with helium and 5 inch 4 quad collar won't float. Can you tell me why? Did you also fill the 5 inch balloons with helium or only the 12 inch balloon? If you filled all balloons with helium then the only reason I can think of would be that your balloons are not of helium quality, so that the helium leaks out quickly. Other factors influencing the floating capability of helium are air pressure (the higher up above see level you live, the lower the air pressure gets, the less efficient helium is) and air temperature. 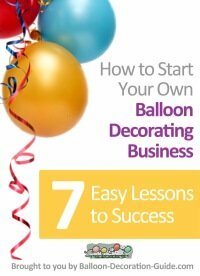 If it's very cold in the room where you blow up your balloons, they might not float. Why don’t you try hydrogen instead of Helium? 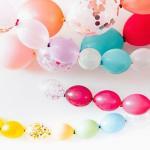 Helium has higher density and if there is any possible leak and balloon will not flow. The temperature of Helium is high when compared to Hydrogen. You may need to check the leakage problem first. 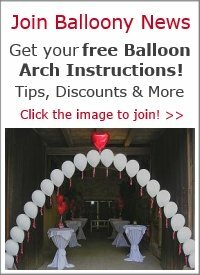 A 12" balloon does not have the capacity to float with smaller balloons inside. 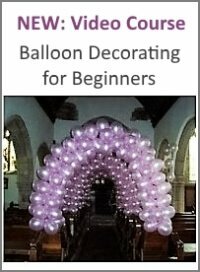 You can find out more if you are a member of Qualatex in the instruction sheets and on the Balloon Bouquets DVD. Thanks margrit for your respose. Yes I did put helium in the 5in. Balloons. They did state when I bought them that they wouldn't float. The 12in. Does say helium quality. I saw a picture of what I want to do but I'm not to good with uploading, it was about 7 helium filled balloons with small collars and It had swags connecting them to each other I'm assuming those were 160's.